With the satisfactory appearance of Clorox’s clean glaze over countertops and the refreshing scent of Febreze floating like a lazy cloud from one room to the next, just when our homes seem cleanest, we may actually be most vulnerable. Altering what you buy, from harsh chemical cleaners to safer alternatives, isn’t the only thing you can do to curb indoor pollution, and doesn’t account for much of the problem. Your clean home houses hidden hazards. These chemicals, especially when imprisoned in a house on lock-down for the winter, can accumulate and mingle with dust in your home. “The researchers highlighted 45 toxic chemicals in indoor dust, 10 of which were present in 90% or more of the dust samples – these included flame retardants, fragrances and phenols.” As The Guardian points out, these chemicals, though banned in some products, like bottles and diapers, may not be banned in others, like walls and flooring. But this isn’t a matter to just throw up our hands over, declaring all proactivity hopeless and ineffective. Singla, from the Environmental Science and Technology journal, writes there are steps we can take to reduce exposure to this toxic dust. 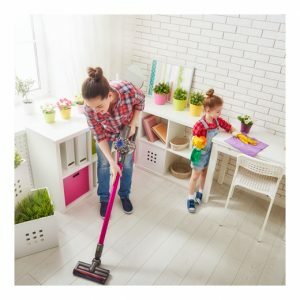 One key is, when you are performing regular cleaning duties like wiping off the counters or sweeping, don’t tackle these tasks with dry brooms or paper towels. Use damp mops and cloths to reduce levels of dust. Whereas merely dry materials might kick the dust back in the air, damp materials will cause the dust to clump and aggregate. Also, vacuum regularly, as the suction disposes of the toxic dust in its container. And, of course, activism, to demand accountability, is the surest way to reduce exposure to these chemicals. Although the problem of indoor pollution is extremely concerning, it’s in your power to reduce exposure. Besides changing the way you clean your home, you can also purchase plants, which help reduce indoor pollution by cleaning the air you breathe. And don’t be afraid to open up your windows when the days are brilliant, and the soft breeze of spring warmly soothes the plants and animals, blooming and bustling outside, stirred by the chance to enter your home like an old, visiting friend.